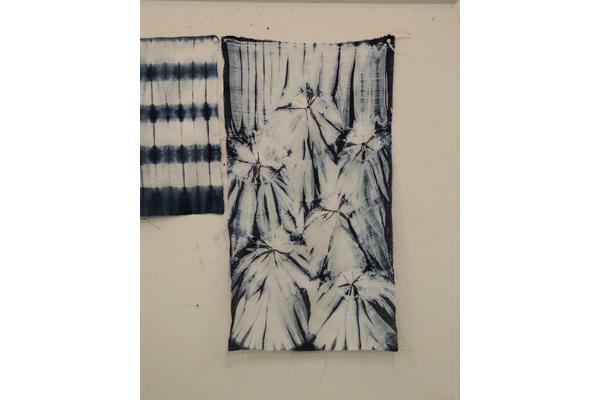 Shibori is the Japanese word for resist dyeing of fabric. 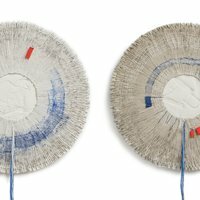 Working with a variety of traditional techniques, you will create patterned fabrics and papers using Karamatsu, Mokume, Guntai, Itajime, Shine-Ire and Makiage stitch and binding methods , before dyeing with traditional Indigo, Tansy and Madder plants. Each piece of fabric will be unique, allowing for creative exploration for your own textile work. Working with a variety of techniques and then dyeing the fabrics produces amazing textures and effects for use in textile art. Each piece of fabric will be unique, allowing for creative exploration for your own work. 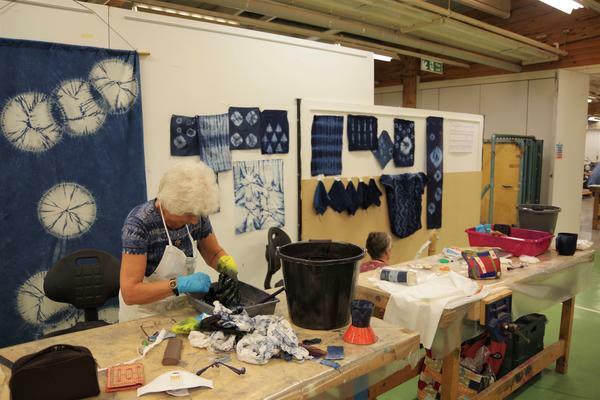 This course will explore a wide variety of Shibori techniques to pattern cloth using stitch, tying, clamping, pleating and wrapping. You will be encouraged to try ideas of your own and to consider other mediums for some of the techniques such as paper too. Following a recap on the basics of stitching and binding; advanced stitch techniques including traditional patterns such as Karamatsu, Mokume and Guntai as well as stitch variants Rob uses in his own work and form a part of his personal practice will be explored; Itajime board clamping; Shine-Ire (rope core work); Makiage (stitched motifs); and a selection of other techniques using objects such as clips, chopsticks, etc will also be presented. We will also look at layering techniques on top of each other and cutting and re-piecing which may appeal to textiles artists looking for a more advanced interpretation of Shibori and how to vary its use. 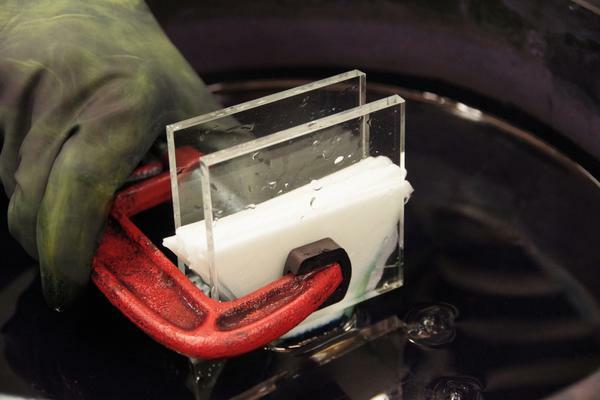 After preparation, your work will be dyed with indigo to produce a range of blues. If you wish to include other colours, natural dye plant vats of Heather flowers for yellow and Madder for red, will be available to pre-dye or over-dye fabrics. 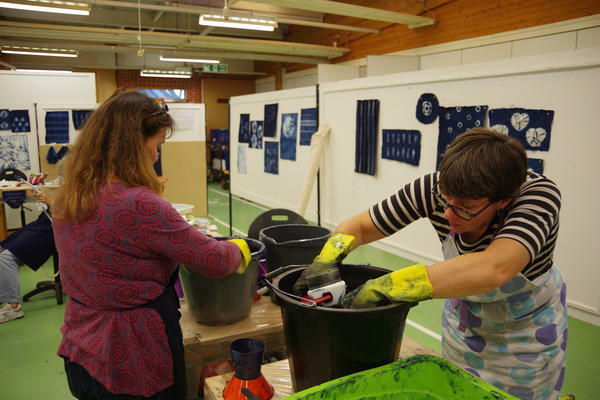 You will produce a range of fabrics to keep both as a visual record for future reference and, towards the end of the course some work exploring re-piecing and ways to work with your dyed fabric towards the end of the course. Demonstrations, discussions and tutorials will be ongoing throughout the course and encouragement given on how to continue with your work at home or in your studio. The only perquisite is that you'll need to have some hand sewing skills and dexterity for using thread. 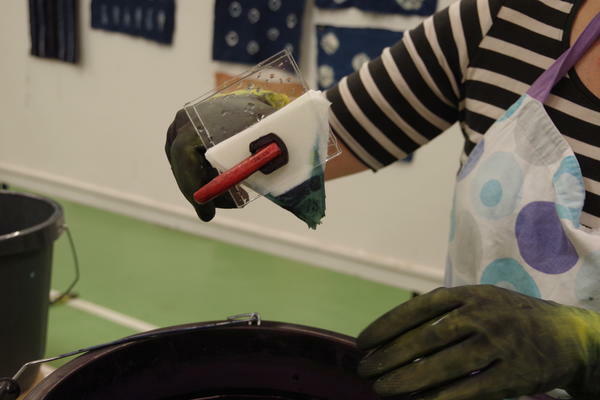 N.B: This workshop will focus on using an indigo dye vat for blues, the natural dye plant vats for yellow or red in line with Rob Jones' own practice. Several evening events are planned throughout the week, a detailed timetable for the summer schools will be given to you on arrival. Providing indigo, madder and tansy/heather dyes and their auxiliaries. Gather a collection of plain natural cellulose fabrics to use to dye. Fabrics such as cotton, linen, hemp, bamboo and viscose (or combinations of these) work best. You can also dye silk and wool too, so bring some of these if you wish. Threads can also be dyed. 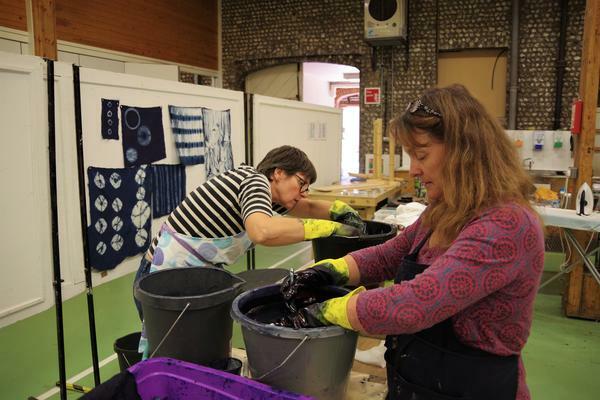 If you like to recycle fabric, consider bringing some, they often take the dye beautifully. Do not buy sheeting, it is too densely woven and will make hand stitching some of the resist techniques difficult (I speak from experience!). Pre-wash fabrics in non-biological washing product (unless they are PFD - prepared for dyeing) and dry. Do not use fabric softener. Apron and rubber gloves - wear old clothes! Water erasable marker pen - I use the Clover brand - fine tip! A cushion. This will be used to Shin-Ire core work with a stand so make sure its comfy as you will be sitting on it. Items to tie into fabrics such as glass beads, marbles, small stones etc. Sewing kit - scissors, needles etc. 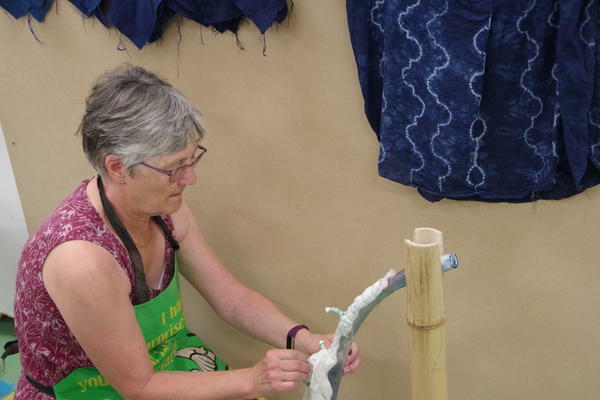 I will bring a selection of items for the class to use such as templates, pegs, clips and poles for some of the Shibori techniques. If you have any others of your own, please bring them. Some fabrics are suitable for dyeing and are PFD (prepared for dyeing). On this course the tutor will bring some additional fabrics for you to purchase directly from him if you wish. The cost of what you select should be paid to the tutor before the end of the course in cash. Some mordanted fabrics and pre-dyed fabrics dyed with natural plant dyes. 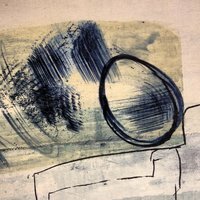 Rob Jones is a textile artist, who takes his inspiration from Japanese Textiles traditions including Shibori, Katagami stencilling and Sashiko embroidery and Boro. 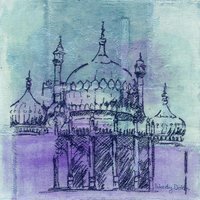 He began his study in 2011 at West Dean on short courses and then undertook an intensive course with Bryan Whitehead in Japan in the autumn of 2014. 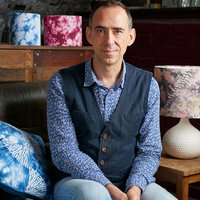 Rob has been a full time textiles designer and teacher since September 2015.